Robert Helenius will if all work out return in Berlin May 3. The Nordic Nightmare sparred with Kubrat Pulev last week and is said to have looked good but it will of course be some time before he’s back to where he was before the Dereck Chisora fight. 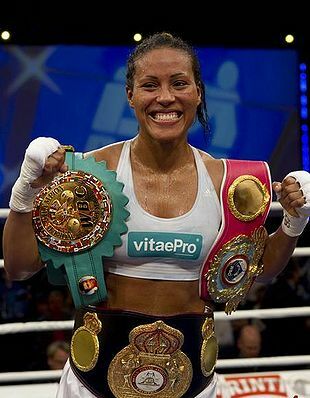 The big story in Norwegian sports last week was Cecilia Braekhus announcing that she is splitting with Sauerland. Braekhus was lined up to fight May 24 but all is on hold for now. Kalle Sauerland said there is an existing contract - something it appears that Braekhus and her advisors dispute. The Viking Warrior, Mikkel Kessler, is still undecided on his future but will be ringside to watch Carl Froch vs George Groves II. Kessler have been inactive since losing the rematch to Froch last year.